This German Ring Belt is a?4 cm wide ring belt after models from the Germanic iron age. 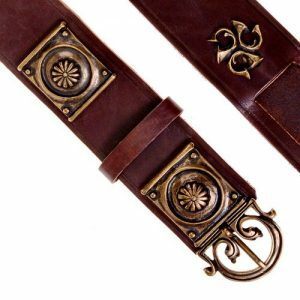 Ringbelts like this with the simple practical ring closure were common in the ice age with Goths and Nordic Germanic tribes. 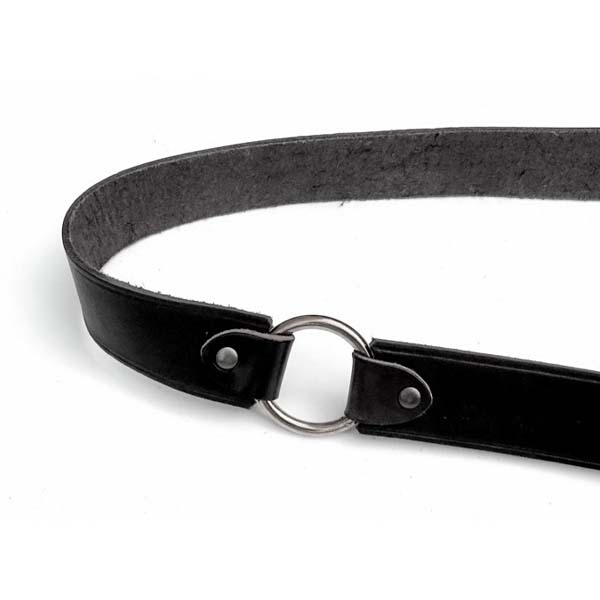 The ring belt is provided with a round ring on the side, which can be attached to everything you need quickly, such as knives and bags. 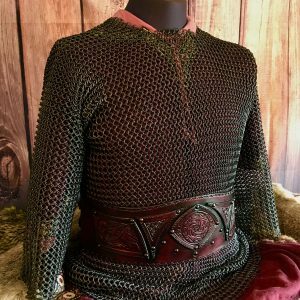 The ring belt perfectly complements the whole outfit in the Larp and Medieval reenactment costume. Width 4 cm (1.6 Inches), waist up to 140cm (55 inches), length 165cm (65 inches). The ring belt does not require any belt holes due to the ingeniously simple ring closure technology. 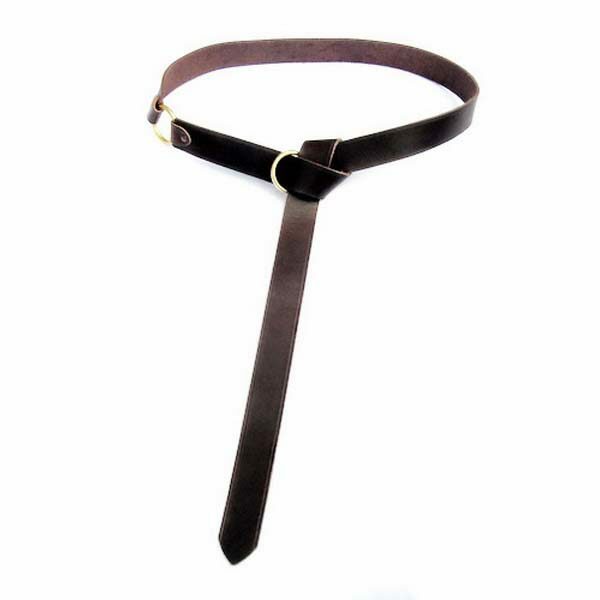 It can be put on any length and is therefore particularly suitable for both men and women. 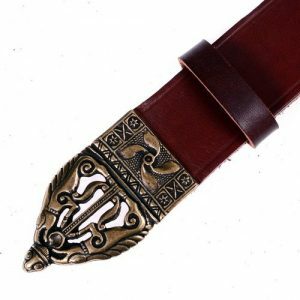 The Germanic ring belt is made of high-quality, purely vegetable ?leather of 3 – 3,5 mm thickness. Available in black or brown with brass or silver colored closure ring.